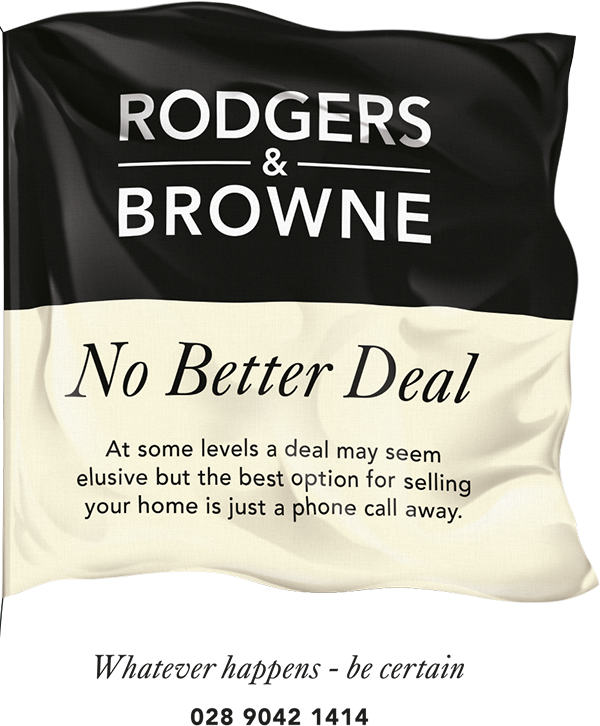 With a combined experience of over 55 years Rodgers & Browne offer such a service. First class service, whole process ran smoothly. Extremely friendly and helpful. Thank you very much for the excellent service. You made me feel as if I was the only client you had. I felt so special and the constant feedback on the progress of the sale was great. If you expect a 5 star service you'll not be disappointed. Very efficient and a pleasure to do business with both pre and post sales. 5 stars! If you are looking for a property to buy or let, or just curious about what's going on in today's property market, join our mailing list today.